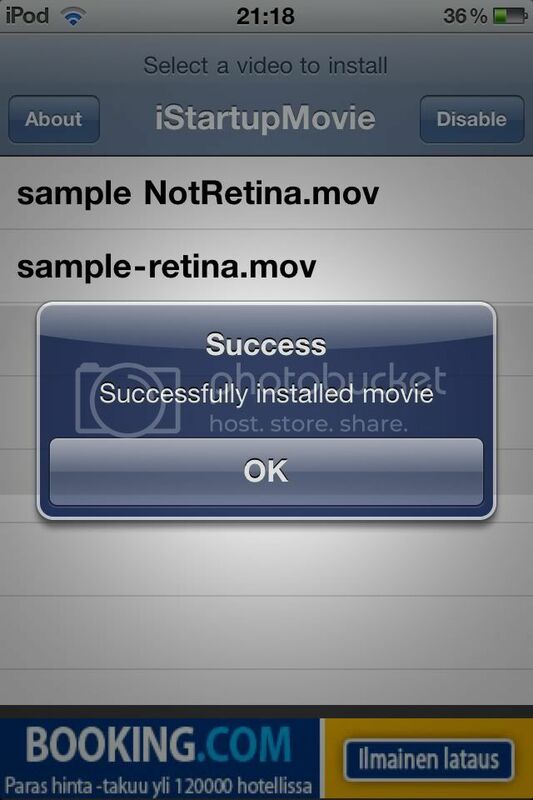 iStartupVideo is a a very unique tweak. What it does is that it allows you to put a video that will play everytime you boot your iPhone or everytime you respring. The tweak is available for FREE in the BigBoss repo. Is it also very simple to use! Just put your .m4v or .mov file inside: /var/mobile/Library/Startup Movies/ using ssh or iFile if you already have the file on the device. Now, to install a video is also very very simple. Just go to the iStartup Movie app on your homescreen and select your movie in the list. It will now show a message saying it is installed. You can now respring your device to see if it works. It should display your video right after respring or reboot! However if you want to disable this without uninstalling the tweak you can simple press “disable” button in the app.